From 1957 onward after the notification of the Master Plan for Delhi 1961, the Ministry of Urban Affairs along with the Delhi Development Authority had followed a process of planned development. The Master Plan for Delhi 1961 was succeeded by the Master Plan for Delhi Perspective 2001 published in August 1990, and then the Master Plan for Delhi 2021 notified in February 2007. Development by DDA during this period followed the land use framework as laid down in the plans, but did not keep pace with actual demand. Shortfall in meeting needs was clearly apparent twenty years ago, but the Ministry and DDA did not take corrective action. Over the last ten years several changes to the Master Plan have been notified, the implications of which have not been carefully thought out, as a result of which further development has come to a standstill, and the Plan has now become more difficult to implement and is largely being ignored. Many of the changes in building regulations are contradictory making development impractical, and many proposals like the land pooling policy have recently been withdrawn. DDA as the agency responsible for controlling development has failed to prevent extensive unauthorized construction across the city. In order to stimulate orderly development, it is necessary to periodically upgrade plans to meet changed needs, and to prepare detailed planning and urban design studies for larger areas. Along with the steady increase in population, demand for built space has increased. Instead of working out a city wide plan for meeting this need, DDA has resorted to piece meal development of individual pockets of government owned land in different areas, which is systematically destroying the very nature and character of the city. 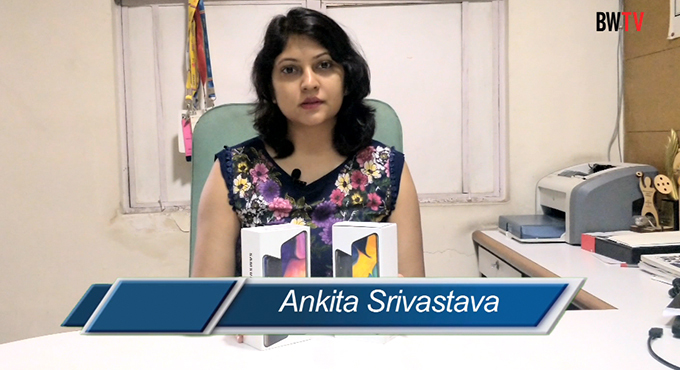 Within the Delhi urban area different government agencies together own the largest area of land in the city. When the Master Plan for Delhi 1961 was notified, DDA was authorized to acquire 35,000 acres of rural land around the existing urban area, which further added to the areas of government land. Housing for government employees most of which is now run down and obsolete, and ready for redevelopment, occupy the largest tracts of government land in prime areas. They constitute large parcels of contiguous area, which are ideal for high density development on a properly planned basis. Instead of preparing detailed urban design exercises for such areas, the agencies responsible for urban development are in the process of implementing a series of isolated projects on small parcels, in bits and pieces. It is of interest to take a look at some of these individual projects and consider how they are being designed and built, and how they are affecting long term development. 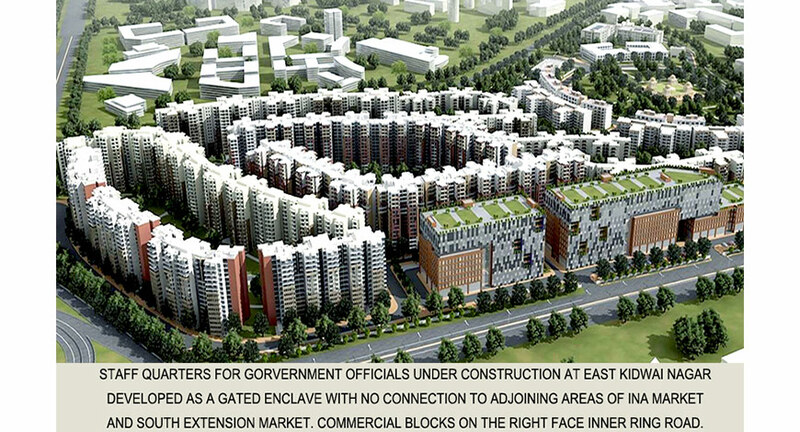 One of the projects built by NBCC and the CPWD is New Netaji Nagar near Moti Bagh, where on a prime site of 110 acres 492 residences for senior government officials have been built along with 500 EWS units As per Master Plan regulations, 7500 dwelling units could have been built on this site. In East Kidwai Nagar on a site of 86 acres, 4747 apartments are being built for government officials, where 7000 dwelling units could be built. This is also being constructed by NBCC. Both these developments are being justified as self financing, by part of the land being developed as commercial space for sale. In the former case a plot of land was sold to the Leela Hotel, and in the latter case, a couple of office blocks are being built for sale. The fact that both these developments are gated enclaves built on high value public land, with no attempt at utilizing the full permitted area, or at integrating with surrounding existing development is an indication of the lack of concern for the gross misuse of public land, and lack of concern for its effect on the surrounding context. On an isolated 75 acre site in Karkardooma near Anand Vihar railway station, DDA along with NBCC is in the process of developing the much touted East Delhi Hub, with multi storey towers which include a 100 storey tower with a helicopter platform. This is being developed taking advantage of Transit Oriented Development regulations, where high density development is permitted within a kilometer wide strip on either side of the metro line. The intention of TOD is to allow intensive land use, with larger built up area along major arterial metro corridors. The Karkardooma site is an isolated pocket of land, which is unlikely to trigger similar high density development in its vicinity. No attempt has been made to integrate or link the proposed development with the surrounding existing settlements. The Sanjay Lake project on a 23.3 acres site is at the eastern end of Sanjay Lake in East Delhi where the Trilokpuri metro station, is to be located. Here also taking advantage of the high density TOD Corridor, DDA and NBCC are proposing to build a couple of high rise apartment blocks. Sanjay Lake along with the surrounding park adjoins the large concentrations of low income housing of Trilokpuri to the South, and Kalyanpuri to the East. The low income area of Pandav Nagar is nearby. Only a small part of the parkland surrounding the lake has been properly developed to date, and the bulk of it remains as rugged open space where rubble and garbage tend to accumulate. Despite this, the open space provides welcome relief to the densely built low income settlements, and is used extensively as a play ground by the youngsters from the neighborhood. The proposed high rise towers being planned in this location would not only obstruct the continuity of the park, but would be out of place in this location. It would be better if the site were to be developed to provide recreational facilities and civic and social amenities for the residents of the surrounding areas, instead of locating middle and upper income housing towers. Without preparing a new Master Plan for the city, along with detailed urban design studies the Ministry of Urban Development is proceeding with plans for the fragmented development of large areas of government land in prime locations within the city. One of the recently announced proposals is to build a commercial complex on a 25 acre site at Nowroji Nagar on the Inner Ring Road, close to Bhikaji Cama Place. This is certain to create serious traffic obstructions on this already overloaded major traffic artery. The proposal is arbitrary, and not in compliance with the Zonal Development Plan for the area. This shortcoming will presumably be taken care of, by the issuance of a notification for Change of Land Use. The intention is to generate funds from this project, to redevelop the areas of Sarojini Nagar, Netaji Nagar, Mohammadpur, Kasturba Nagar, and Srinivaspuri, all areas of obsolete government housing. These sites together constitute a total area of almost 660 acres, which are all to be developed as isolated units. No detailed plan providing for a system of upgraded infrastructure services, or a comprehensive traffic network plan into which these proposals would connect, has been prepared. At present this entire area consists of low rise structures, with a large number of mature trees. With ad hoc implementation of a series of high rise structures on separate sites, the entire environmental character of the area would be destroyed. It would have been acceptable, if this was part of a long term plan within which these individual pockets would ultimately be unified, but this has not been planned for, and is not likely to happen. In many projects built over the last few years DDA has completely ignored the Master Plan regulations, and have proceeded with development by simply issuing change of land use notification. From February 2007 to March 2014, gazette notifications were issued by DDA for change of land use in Master Plan 2021, for 61 isolated plots located in 13 different zones in the city, which include major changes in Zone D, which covers ITO, the Supreme Court and Pragati Maidan. Some of these changes are worth taking note of. A prominent triangular site of 2.58 acres on the corner of Tilak Marg and Sikandra Road next to the College of Art is being developed as government offices. In an area where there are a number of prominent educational institutions and cultural facilities, government offices will be out of place. Government offices should not be developed on isolated sites all over the city. There are enough large areas available in convenient locations close to metro stations, where government office complexes can be built on a consolidated basis. 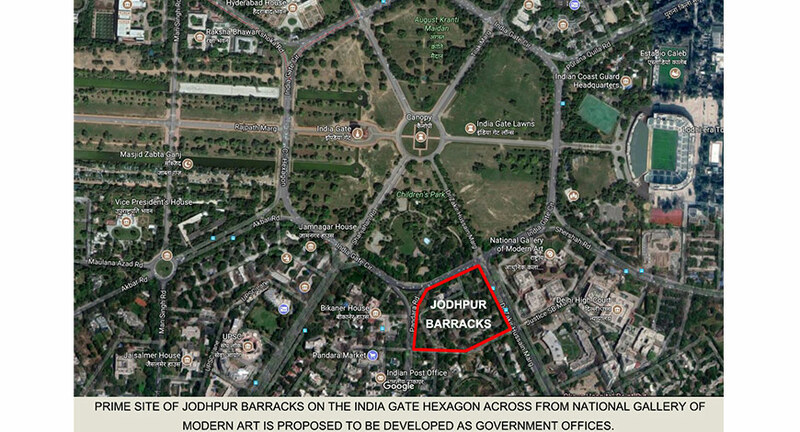 Another ill considered government office location recently announced by the Ministry of Urban Affairs is the proposal to build an office structure on the corner of the Hexagon around India Gate, on the site of the existing Jodhpur House barracks. This will constitute a significant visual intrusion in a prominent location. The existing buildings on the Hexagon include prominent colonial buildings like Hyderabad House, Baroda House, Jaipur House, Bikaner House and the National Stadium. To erect a block of high rise government offices in this location within the close vicinity of prominent cultural institutions would be completely out of character with the existing development. The gazetted change of use for the site of 12.19 acres where Appu Ghar was located, on which the Supreme Court Extension is being built is equally unfortunate. 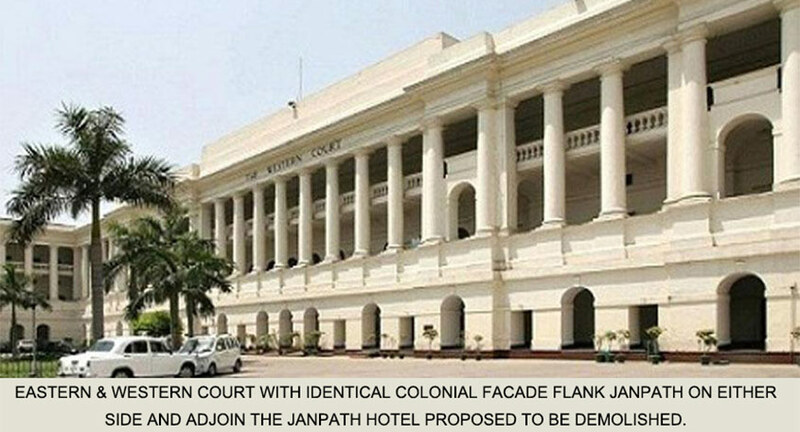 The site directly across Mathura Road from the existing Supreme Court, is to be connected by an underground passage. From a planning as well as functional point of view, this is an ill advised location for the extension of a major public institution, which will attract large numbers of lawyers and litigants. It would have been better to have located the Supreme Court Extension across Bhagwan Das Road, by demolishing some of the government houses in this area, which would have been easier to directly connect and access. A change of use which has been the subject of much controversy is the conversion of 123.51 acres of Pragati Maidan, for development as an International Convention Centre. Convention Centres attract large numbers of people, and in most major cities in the world they are located on the outskirts, where it is easy to organize access for different modes of transport. Considering ease of access Pragati Maidan is definitely not a good choice for the development of a Convention Centre. There is clear evidence from the past, of severe traffic blockage over several months around the entire area, whenever exhibitions were held at Pragati Maidan. Work has been started on a proposed mega skywalk at ITO which is to be formally launched soon. This is a 615 meter long pedestrian skywalk linking the Pragati Maidan Metro station with Mathura Road, Tilak Marg, and Bahadur Shah Zafar Marg. 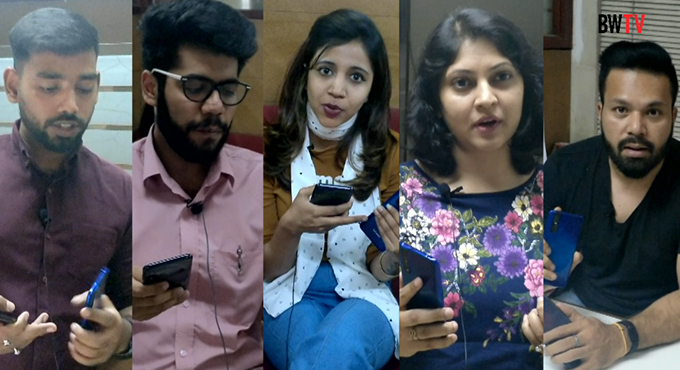 This is the first real attempt to address the serious congestion problems faced by pedestrians in Delhi's largest office hub, the ITO. But unfortunately it only addresses a small part of the pedestrian movement problem across the entire complex. Large numbers of pedestrians walk down the length of Vikas Marg from Bahadur Shah Zafar Marg to Ring Road. A large number of pedestrians also walk down the central road next to the Income Tax office complex, from Vikas Marg towards Azad Bhawan. On both sides of this road a number of unauthorized kiosks have been set up for shops selling stamped paper, stationery shops, offices for public notaries, along with several eating shops. The entire area is perpetually congested making traffic movement difficult. It would be good if the ITO Skywalk were to be extended to connect to the foot over bridge in front of the police headquarters, and lead further to a wide skywalk on both sides along this central road, completely separating pedestrian movement and vehicular traffic in this congested area. All existing shops and eating spaces could then be moved to the upper level. Although ambitious and expensive, such a proposal could be developed to generate adequate revenue from the newly developed commercial space for the construction and maintenance of the entire system. The skywalk could also be extended further at a higher level to cross the railway line and connect directly to the Pragati Maidan Metro station. It is important to address such issues on a comprehensive scale, instead of in parts as is currently being proposed. The latest in this series of ill advised decisions taken by the Ministry of Urban Affairs is the proposal to demolish Janpath Hotel and build a mixed use complex on this prominent site, without preparing any plans for the development of the surrounding areas. The hotel is now outdated and inefficient, and there is no doubt that the site needs to be suitably redeveloped. This is however a very prominent location, because of the proximity of the Imperial Hotel, and the Eastern and Western Courts, which are all major colonial landmarks. The historic Jantar Mantar complex is also within walking distance. The proposed rebuilding therefore must necessarily be part of a sensitively considered urban design for the entire area. Most of the developments referred to above have been entrusted to NBBC along with the responsibility for preparing the designs, a task for which they are not equipped as they are essentially a construction agency. They have no architects, town planners, urban designers, landscape designers, or traffic planners as part of their development team, and all design work is out sourced to private architectural firms, which in many cases is actually being done by foreign firms, who are totally unfamiliar with the context of their proposals. DDA which was originally responsible for implementing the Master Plan and controlling development across the entire Delhi Urban Area, have lost control, and are no longer in a position to prepare plans and effectively monitor future development. As part of the process of preparing a new Master Plan for Delhi, It is time for the Ministry of Urban Affairs to seriously review the situation, and restructure the process of future development. It is necessary to first and foremost address the problem of multiple development agencies, working at cross purposes with each other. Delhi is a city with a substantial historic legacy which needs to be preserved and enhanced. A whole new framework of development control needs to be put in place, which will update the process of planning and urban development taking advantage of the latest available technology, as well as initiate a process of continuous ongoing planning. There is much in Delhi that needs to be preserved. In addition to the vast number of historic monuments, it is the character and ambience of the city that needs to be protected. It is also time to recognize that the citizens of the city need to have a say in how future development will best serve their interests and a process of effective interaction needs to be formulated. As part of the process of preparing a new Master Plan the Ministry of Urban Development needs to take a more holistic view of the future of the Delhi Urban Area.